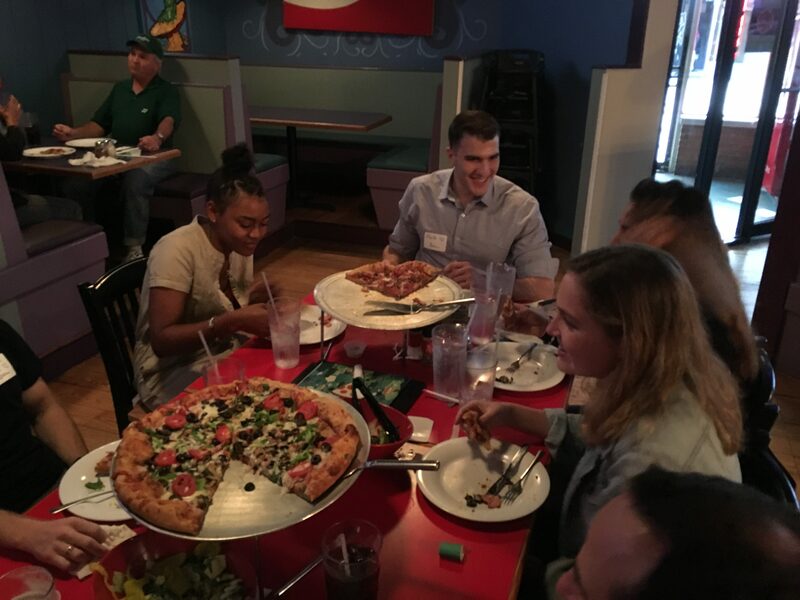 On Tuesday, August 10, the Georgia chapter gathered at the Mellow Mushroom Brookhaven restaurant to host new and current students from The Hotel School. Our special guest of honor was incoming freshman Tyler Sturdivant, ’21. On hand to provide their guidance and insights were three current Hotelies, each of whom had internships in Atlanta during the summer. They were Mark Svenjak ’18, Nina Bachich ’19, and Sharonee Vaca ’19. The Georgia Chapter wishes all students from the Peach State great success during the 2017 / 2018 school year. 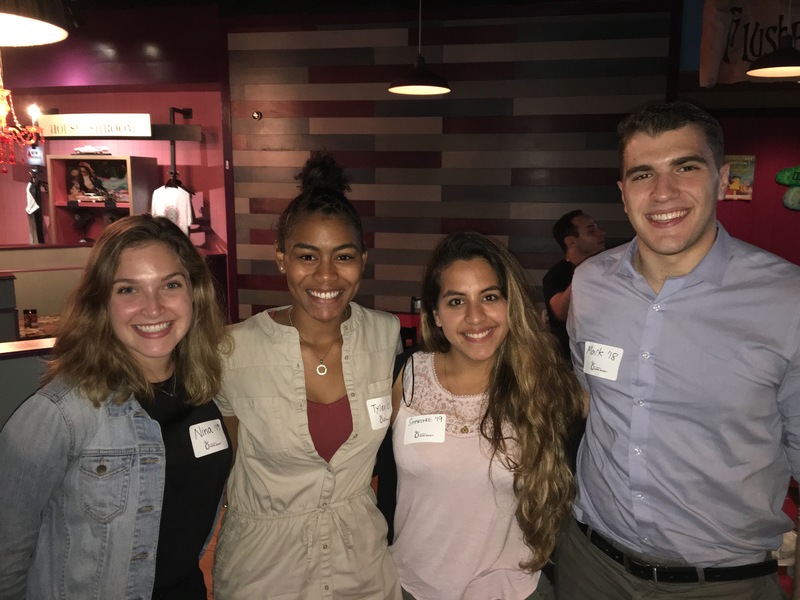 Incoming Freshman Tyler Sturdivant, ’21 (second from left) receives advice from Nina Bachich ’19, Sharonee Vaca ’19, and Mark Svenjak ’18. CHS Georgia Chapter welcomes new and current Hotel School students. 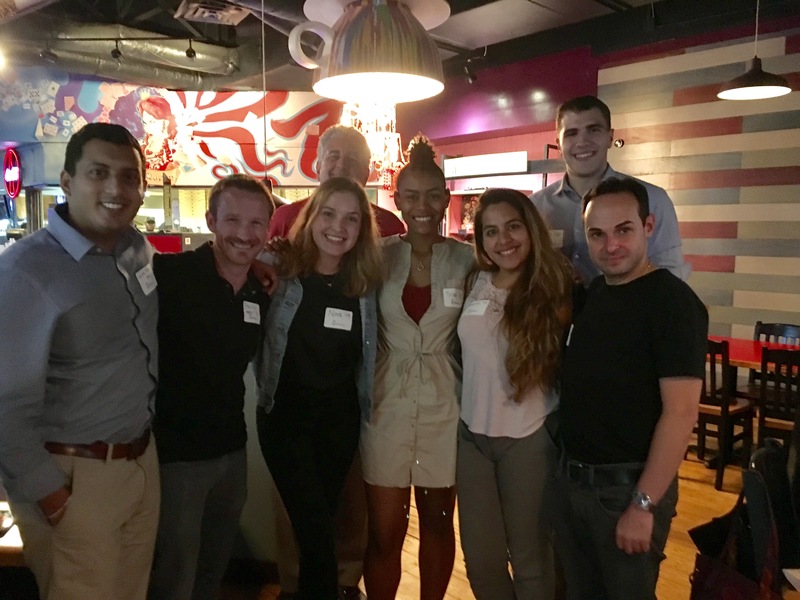 On March 22 the CHS Georgia Chapter held its second annual reception during the 2017 Hunter Hotel Conference. The event was hosted by Alan LeBlanc ’84 at his restaurant, White Oak Kitchen and Cocktails. Georgia Hotelies gather for a five course meal of gourmet grilled cheese sandwiches and paired wines.